Lots of top water action today and some beautiful reds! Yes that’s me haha David let me catch one!! Posted in Fishing Charter Recent Posts	| Comments Off on Good Top Water Action! Bill and Jessica not only caught this monster redfish but some big ‘ol trout too!! 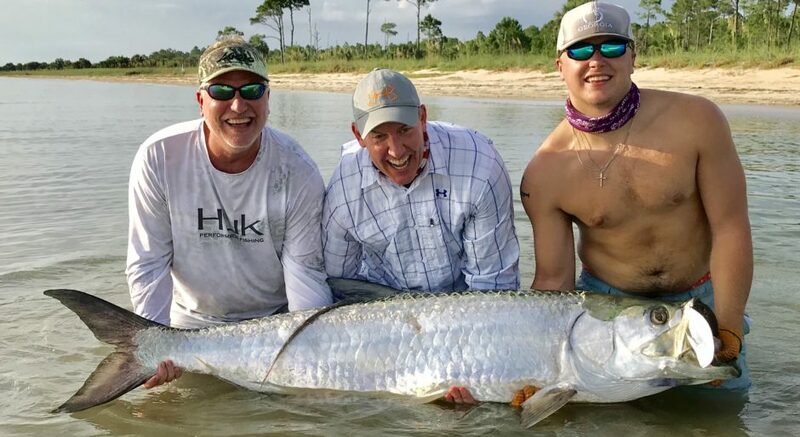 Posted in Fishing Charter Recent Posts	| Comments Off on Huuuuuuuge Redfish!!!!!!! Had a great time with Mitchell and Cliff the past two days catching lots of redfish, speckled trout and flounder! Thanks for supporting our area and coming down for a few days. Posted in Fishing Charter Recent Posts	| Comments Off on Lots of Reds! A great bite today even with the cold front. Lots of trout, flounder and reds!!!! Posted in Fishing Charter Recent Posts	| Comments Off on Cold Front Slam! Posted in Fishing Charter Recent Posts	| Comments Off on First Charter Post Hurricane…..Awesome! Great Post Hurricane Fishing and Update! Posted in Fishing Charter Pictures, Fishing Charter Recent Posts	| Comments Off on Great Post Hurricane Fishing and Update!